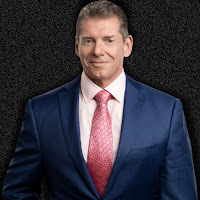 There are rumors going around on Vince McMahon meeting with Madison Square Garden officials soon but PWInsider reports that there is no truth to the rumors. It should be noted that we never posted the rumor. A very high-up source at MSG noted to PWInsider that officials for the venue have had no meetings with McMahon scheduled at all, and none have taken place, and that dealings between WWE and the arena are usually done with the live events department. Vince would not be personally involved in negotiations, even though it's a high-profile arena like MSG. The rumors have to do with WWE possibly trying to kill the ROH G1 Supercard show scheduled for MSG but ROH already has a contract for that date and the event is pretty much sold out. WWE would not be able to kill a confirmed event that ROH has booked with the arena. MSG officials confirmed to PWInsider that there is zero truth to the story going around.